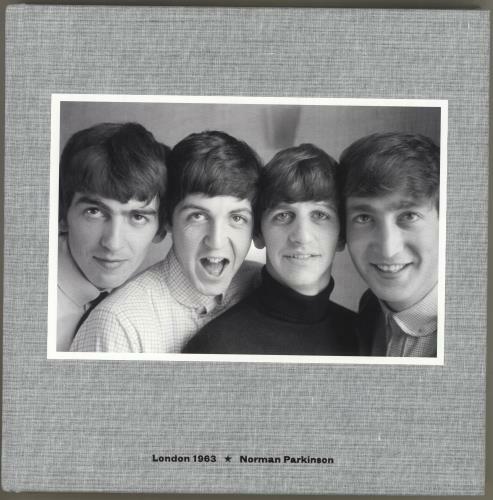 THE BEATLES London 1963 - Norman Parkinson (2018 UK 180-page 10" x 10" hardback book featuring the photographs of one of the greatest photographers of the 20th century. Norman Parkinson's images capture the Beatles at the President Hotel in Blomsbury and famed Abbey Road Studios on the 12th September 1963. Includes an introduction by Pat Gilbert and grey linen-effect cover with imprinted black text and a black & white picture of the Fab Four).